Jade's Journey: Jac Vapour Series-S17 review. When I heard that Jac Vapour were interested in working with us I was extremely exited, I have been a customer of there is the past and I have always been impressed with their products and the service you get when visiting one of their stores. For myself it is their Leeds based store. 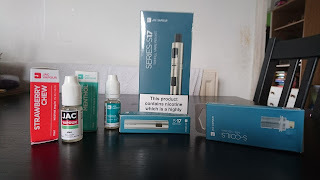 Jac Vapour are one of the most reputable companies on the high street with all their products manufactured in the UK it gives you a massive sense of reliability and safety in opposed to some of the more unknown brands. I have introduced many people to vaping and I have always recomended Jac's. I was massively impressed with the amount of products they sent myself. I received the S17 kit including the new top fill tank, a spare battery, a pack of 5 coils and 4 liquids. The liquids were, Strawberry chew. Mint, Menthol & pure menthol. The kit overall looks extremely stylish especially in the silver steel. It looks professional yet simple at the same time. The top fill tank was the real game changer for me. Many starter kits come with tanks that you have to remove from the battery in order to fill and you therefore can only fill the tank half way. The new top fill tank however, allows for the mouth piece to be removed and liquid to be inserted into the tank without the need of dismantling your kit. This not only means you can utilise the full capacity of the tank but you also do not have to run the risk over covering yourself in liquid while re-filling. I found this feature exceptionally useful when refilling my tank on the go. The liquids are something I was already familiar with, from previous experience I was already expecting a big flavour and with the strawberry chew I was not disappointed. The flavour was that of a strawberry flavoured starburst. The PG/VG split allows for the liquid to be used in both started kits and more advanced kits. The pure menthol and menthol were exactly what you would expect, they are a clear smooth vape for those of you who like a refreshing flavour in opposed to a fruity or desert flavoured vape. Finally the mint liquid reminded me of the first few chews of chewing gum, that over coming feeling of mint covering you mouth, this again is a very refreshing taste and makes a nice change to my usual fruit based liquids. Overall I used this product for a week and I was extremely satisfied. 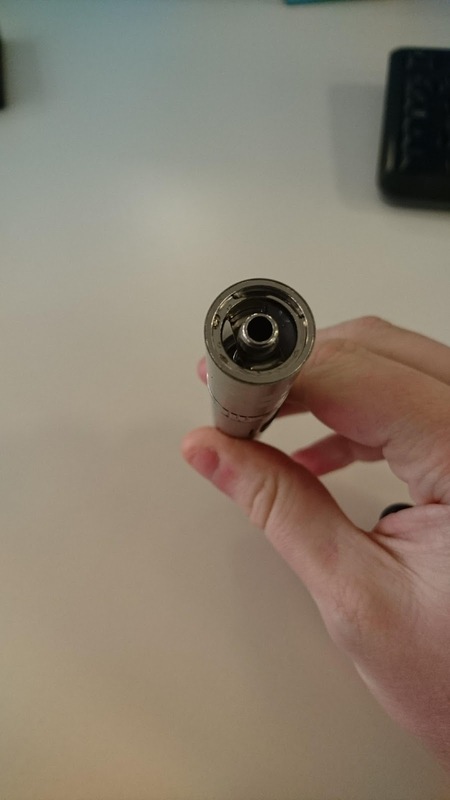 I am used to my TC100 which I run at around 30W, this S17 does not run at such a high wattage however due to the resistance in the coils it does produce enough vapour and the PG hit is enough to make this product a perfect starting point for anyone wishing to make the change from cigs to vaping. Overall to buy everything I received it will cost £50 which represents exceptional value in terms of value for money. I have had kits that have cost more than this and have been no where near as fun or satisfying to use. I had a slight issue with the liquid leaking out however the guys in the Leeds store were exceptionally helpful and I was back making clouds within 5-10 minutes.